According to reports , the SUG have earlier broadcasted that all students should endeavor to hold their student Id card or means of identification while coming or going to school just for security consciousness . As a result of multiple robbery case being reported at Under G , the SUG leaders and some other students accompained by the Aluta Jet , came down to a major at Under G to conduct a stop-and-search . According to reports and eye witness , the process have been going smoothly until a bus was approaching and it was signalled to from afar to stop. 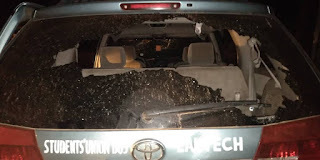 In attempt to stop the bus , the bus reversed with full speed and suspiciously , the SUG threw a stone to the body of the car for identification when the sun rises .. 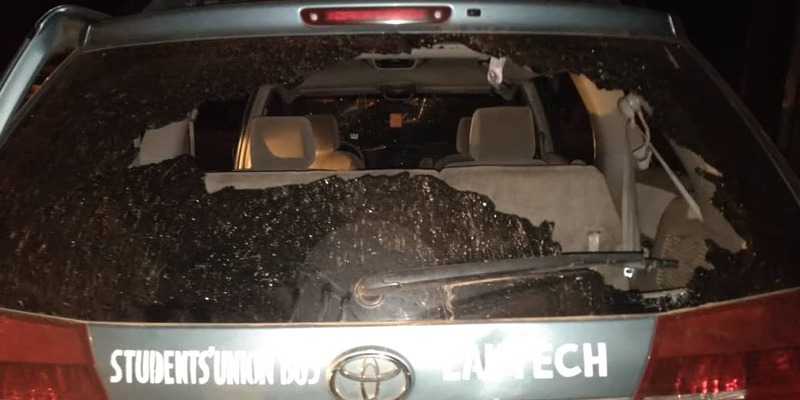 The car have been thought to have gone or escaped , but it came back with full force and started shooting stray bullets at the students conducting the stop-and-search .. 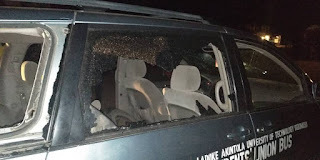 The car has been defined to belong to the SARS and that the SARS personnel did the shooting .. 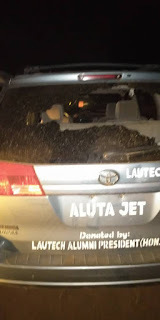 However , the students fled for their lives , leaving the Aluta Jet behind which causes its 4 tires to be deflated and all mirrors broken .. 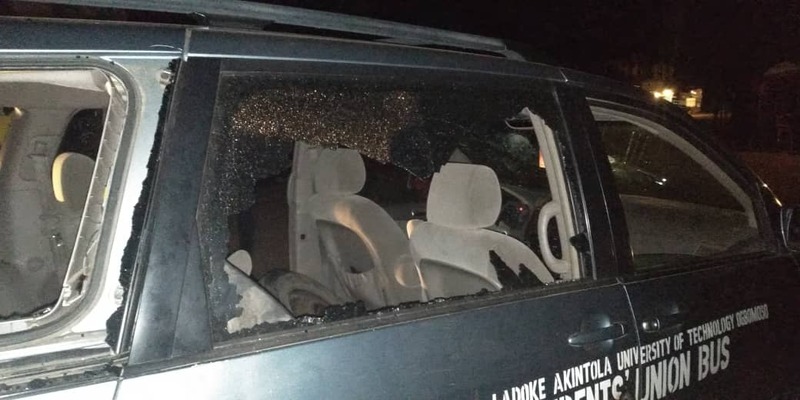 According to reports from the Kudirat Abiola Building , about 3 students have been declared missing from that attack whose whereabouts have not been known , whether dead or alive .